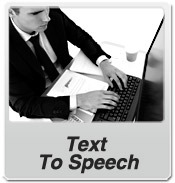 Text to Speech (TTS) option included in every monthly plan, helps to convert text message to high quality voice, and deliver it to land line or cell phones. This option is very useful for all kinds of alerts, when you want to push out your message quickly and without thinking what kind of receiver(s) (sms capable cell phone or voice-only capable phone) are you dealing with. The whole process is totally transparent to the user. 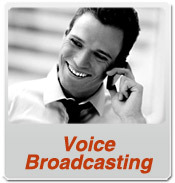 Three languages (voices) are currently supported: American-English, American-Spanish and French. All languages (voices) come in male and female form. When sending TTS message via the web based GUI, everything looks the same as sending an SMS message - simple choose or enter a phone number, type the message and click 'Send'. 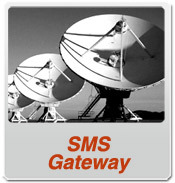 If sending to a cell phone, an SMS will be sent. 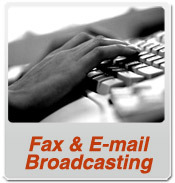 If sending to a landline phone, a TTS message will be sent automatically. Text-to-Speech messages are perfect for emergency notification - they work with all kinds of phones, and they are more reliable than SMS. The delivery time is as fast as SMS, and they can be as long as needed - no limitation to 160 characters like SMS. 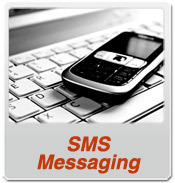 SMS Matrix Text to Speech API is compatible with official W3C SSML Specification. Examples showing these additional control features: 1. Inserting silence / pauses "This is not a pause." "This is a phrase break." "This is a phrase break." "This is a sentence break." "This is a paragraph break." "This is a paragraph break." "This is a three second pause." "This is a 4.5 second pause." "This is a sentence break." 2. Adjusting Speech Rate "I am now speaking at half speed." "I am now speaking at 2/3 speed." "I am now speaking at normal speed." "I am now speaking 33% faster." "I am now speaking twice as fast" "I am now speaking at normal speed." "I am now speaking at 42% of normal speed." "I am now speaking 2.8 times as fast" "I am now speaking 30% more slowly." "I am now speaking 30% faster." 3. Adjusting Voice Pitch "This is half-pitch" "This is 3/4 pitch." "This is normal pitch." "This is twice as high." "This is three times as high." "This is normal pitch." "This is 50% lower." "This is 50% higher." "This is six semitones lower." "This is six semitones higher." "This has a pitch mean 25 Hertz lower." "This has a pitch mean 25 Hertz higher." "This has a pitch mean of 75 Hertz." 4. 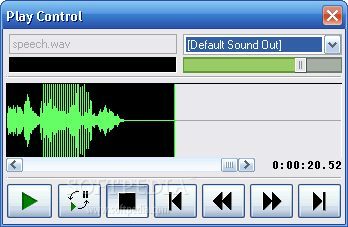 Adjusting Output Volume "This is silent." "This is 25% as loud." "This is 50% as loud." "This is the default volume." "This is 50% louder." "This is 100% louder." "This is the default volume." "This is 33% softer." "This is 33% louder." "This is 33% louder." "This is 33% of normal volume." 5. Adding Emphasis to Speech "This is stronger than the rest." "This is stronger than the rest." "This is the same as than the rest." 6. Spelling Words Phonetically "You say tomato, I say tomato"